After years in the making — the ICO was in 2015 — the Augur prediction market is open for business! And the first thing crypto libertarians did was put up “predictions” that are functionally an assassination market — but on the blockchain. The mechanism is: I bet you a large pile of cryptos that X won’t die by Y time. Oh look, X died by Y time — here’s your large pile of cryptos! I predict that these won’t be Augur’s big problem! Holders of Augur’s REP token decide how a bet was resolved — “yes,” “no,” “indeterminate” or “unethical.” They probably won’t be foolish enough to let assassination bets through. Probably. Instead, I think Augur’s problem will be that “prediction markets” are what we used to call “bucket shops” — for gambling on security and commodity prices. And the regulators really aren’t fond of these. 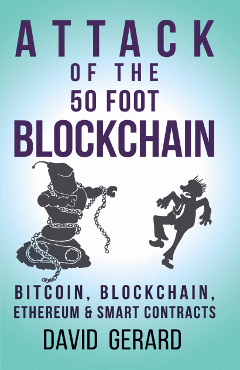 Chapter 10 of Attack of the 50 Foot Blockchain goes into the “oracle problem” at length. In software testing, an “oracle” is any mechanism that determines if a test has passed or failed. The “oracle problem” is how to do this in a completely automated way — without costly human intervention. This also applies to smart contracts that want to interact with the real world — how do you tell if your real-world condition has been met? For questions with a subjective element — was the President murdered, or did he die of natural causes? — humans have to decide whether the event has occurred. A common proposal is to outsource your oracle to a prediction market that is also on your blockchain — such as Augur. There are third-party services such as oraclize.it, which act as an interface between public websites — such as stock tickers — and the Ethereum blockchain. This isn’t a panacea. If your question isn’t popular enough to attract sufficient uninvolved wagers, then it will often be worth it for one party to just bribe the bettors. You can’t get rid of the human element by adding another layer of indirection — it’s oracles all the way down. And in the case of a bet that a particular person won’t die … well, there’s an obvious way to win the other side of that bet. Augur sets its DAO free! Pure smart contracts have no human intervention possible — they’re just a program running on its own, forever. This relies on being able to write a computer program that’s perfect, bug-free and never needs updating ever again once deployed … which is a set of conditions that holds approximately 0% of the time. The usual method — which is recommended in the Ethereum white paper — is to make a variable in your smart contract that points to a separate program that does the real work. If you want to update your program, change the pointer to refer to the new code. Augur, however, are purists. Also, they wanted deniability. So … they removed their ability to change their own contract! They didn’t do this until after the first assassination market bets had shown up. But presumably they are doing this to claim they’re not responsible for abuse of the platform. The Forecast Foundation disclaims all liability for untoward use of Augur. In practice, the question of the Forecast Foundation’s culpability for assassination markets — and the culpability of any traceable REP holder who didn’t vote “unethical” on such a bet — will start with long and uncomfortable discussions with the Secret Service. And their free-floating DAO is now a sitting-duck fixed target for attackers like those that took out the most famous DAO. However — Augur will be used to make bets on securities and commodities prices. This is called a bucket shop, and … it’s illegal! An establishment, nominally for the transaction of a stock exchange business, or business of similar character, but really for the registration of bets, or wagers, usually for small amounts, on the rise or fall of the prices of stocks, grain, oil, etc., there being no transfer or delivery of the stock or commodities nominally dealt in. This is not hypothetical — in early July 2018, the CFTC got a $3 million judgement against InTrade, an Irish prediction market company, for trading binary options — bets on commodity prices — in violation of a 2005 cease and desist order. “While I won’t comment on the business model of any specific company, I can say generally that offering or facilitating a product or activity by way of releasing code onto a blockchain does not absolve any entity or individual from complying with pertinent laws or CFTC regulations,” Erica Elliott Richardson, a CFTC spokeswoman, said in an emailed reply to questions. Crypto-based bucket shops have been penalised previously. You’ll know Elaine Ou as a blockchain luminary and occasional Bloomberg columnist, but she came to fame a few years ago running Sand Hill Exchange — a bucket shop where you could bet on the eventual market prices of startups. Not only that — they faked trades and prices, to create the illusion of market activity. Hall and Ou sought people to fund accounts at Sand Hill using dollars or bitcoins. They had a public web site, but primarily had success recruiting their friends and acquaintances. 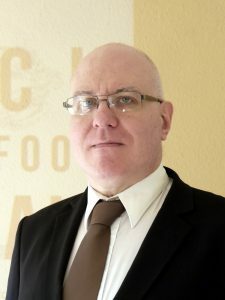 Investors bought and sold contracts linked to liquidity events and to the value of the companies and their securities. For about seven weeks, Sand Hill, Hall and Ou offered, bought and sold contracts through the web site in violation of the Dodd-Frank provisions that limit transactions in security-based swaps with persons who are not eligible contract participants. During that time, Hall and Ou exaggerated Sand Hill’s trading, operations, controls, and financial backing. Sand Hill, Hall and Ou ceased offering and selling security-based swaps in the face of inquiries from the Commission staff on or about April 8, 2015. There’s a fine line between “startup growth hacks” and flagrant illegality. They were fined $20,000. Sand Hill Exchange was a centralised enterprise. But the same considerations apply, as long as there are touchable humans involved — and you’re always going to have to interact with society at some point. The Forecast Foundation’s principals will almost certainly have to deal with the SEC and CFTC on Augur-based bucket shops, as long as they’re involved in the Augur platform in any manner whatsoever — including making money from the REP tokens used on it. There is literally no fancy corporate shell game that the SEC and CFTC aren’t deeply familiar with, and know how to address in a conclusive manner. But what if someone forks Augur? And test just how traceable cryptos are when you attract a government’s serious interest. Or even a financial regulator’s slow and relentless one. Don’t really know what your point is. You state that they no-longer control the system, and then that they’ll be in trouble for starting a bucket shop. This is not a problem for Augur, this is a problem for the identifiable team members. Augur is as unstoppable as Bitcoin. Even if flaws emerge, it will be patched and forked. If the original team had to make right with the SEC the new teams will be pseudonymous. This all presumes a separate crypto economy and never touching the rest of society at any point. This presumption is clearly entirely incorrect. Why do you think even bitcoin maximalists’ favourite topic of conversation is the price in USD?